For Hero Arts Oct Contest. Based on one of their sketches. 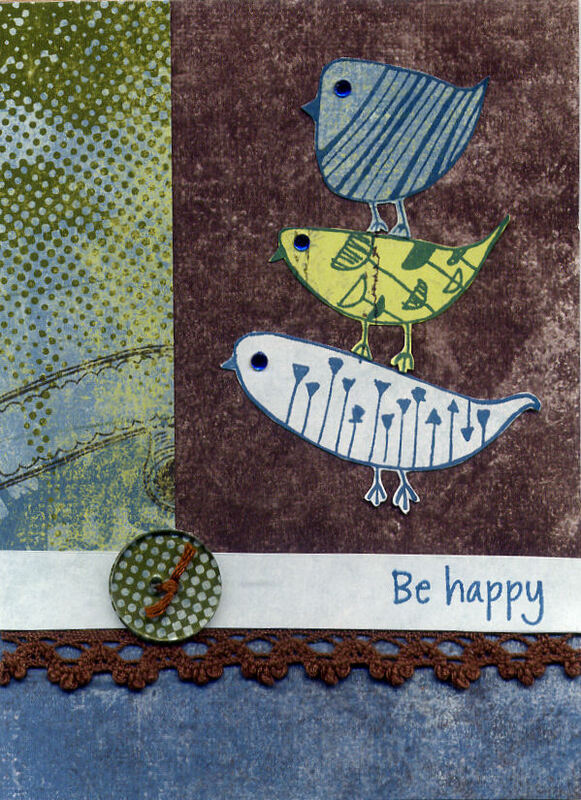 I stamped the birds 3 times, cut them out and, added rhinestones for their eyes. I made the matching button with Epiphany Crafts Button Studio. Paper is Basic Grey. Trim is Chatter Box. Thanks for looking.